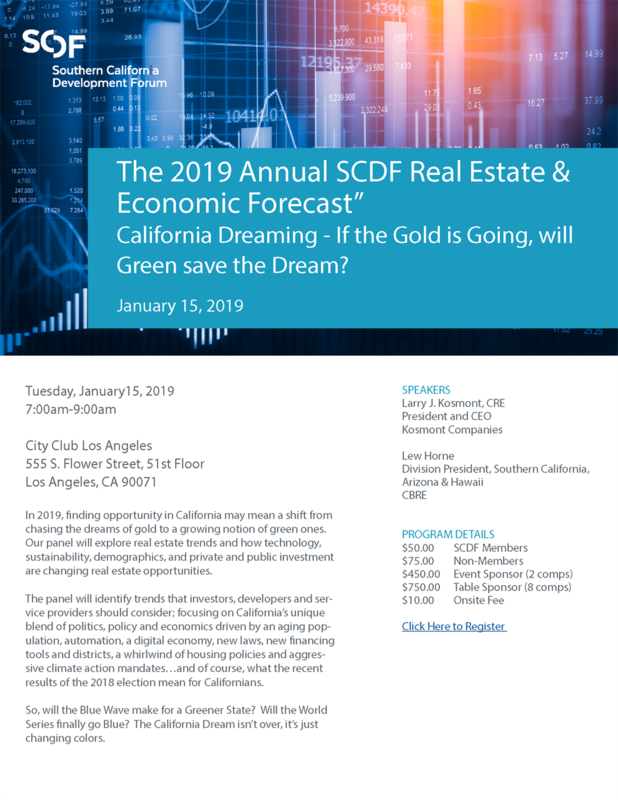 SCDF - The 2019 Annual SCDF Real Estate & Economic Forecast - California Dreaming - If the Gold is Going, Will Green Save the Dream? The 2019 Annual SCDF Real Estate & Economic Forecast - California Dreaming - If the Gold is Going, Will Green Save the Dream? Pre-Registration is closed - Onsite Registration is Available.